The cast of characters here alone tells the tale. Elliot Abrams, Trump’s neocon “Special Representative for Venezuela,” is the man on the scene, despite (or because of) his record as a war criminal from Ronald Reagan’s war on Nicaragua, his role as a key architect of George W. Bush’s war in Iraq, and his complicity in the failed 2002 coup in Venezuela against its elected President Hugo Chavez. Mike Pompeo, Trump’s Secretary of State, promises that Nicolas Maduro’s days are numbered and that there will be a “restoration of the wealth of those oil fields.” Maybe he is getting his intel from his good buddy Erik Prince of Blackwater fame. Vice-President Mike Pence promises to stick with the opposition to Maduro until “libertad is restored.” Pence says that the US has sent five military transport aircraft carrying 400 tons of food and medicine – and who knows what else – to Colombia and Brazil, and that new areas along Venezuela’s borders are being identified to prepare for the delivery of additional “aid.” “There is no turning back,” Pence said. CNN reports “the US military has flown an increased number of reconnaissance flights in international airspace off the coast of Venezuela during the last several days to gather classified intelligence.” The US Southern Command held a press conference in Florida last week, featuring Maj. Gen. Luis Navarro Jimenez, the Commanding General of the Colombian Military Forces. 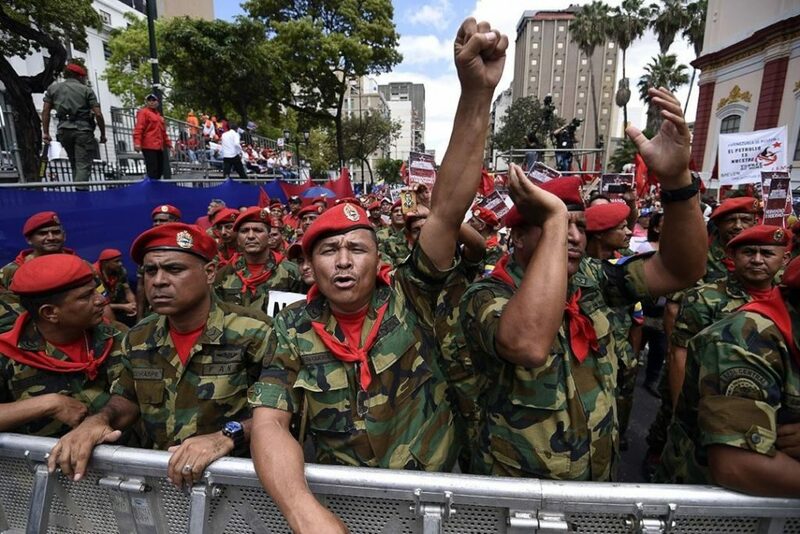 The US government is once again proclaiming loudly that they are in command in Latin America, that governments in the empire’s backyard must show their loyalty to the Gringos, or else. No more talk of socialism, not even of the much-ballyhooed 21st-century variety. Just like during the run-up to the Iraq War, the media and the Democrats are following in lock step behind the Republican buffoon in the Very White House. The corporate press is as Fake News as it gets on Venezuela. 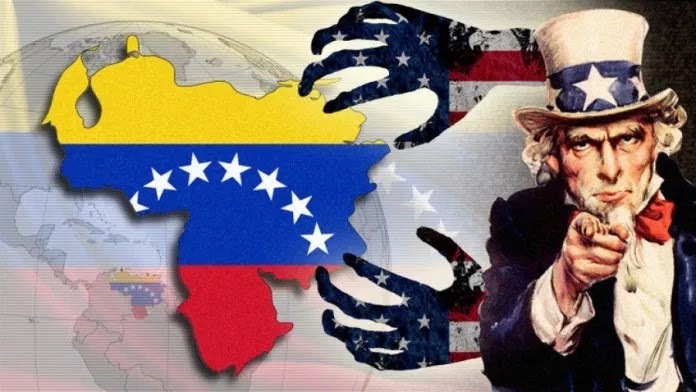 The US-waged economic war, sanctions and destabilization campaign against Venezuela is just a fact of nature, for which nobody is responsible except those who won’t bow to the will of the Yankees. Maduro is Saddam is Noriega is Hitler is Stalin. Not even Our Hero Bernie Sanders can extricate himself from this narrative. Only the young and so-far lonely Presidential candidate Tulsi Gabbard from Hawaii seems able to find any kind of national platform to speak out against the Regime Changers. Afghanistan. Iraq. Libya. Syria. Yemen. Millions dead. Millions of refugees. Nations in chaos. This is an updated version of an article first published by CounterPunch on February 26, 2019.